Here are language puzzles by double letter Z words. 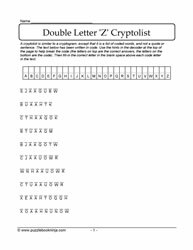 Wordsearches, cryptograms, cryptolists, matching puzzles. 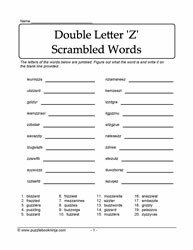 Vocabulary building exercises with these printable, downloadable puzzles. 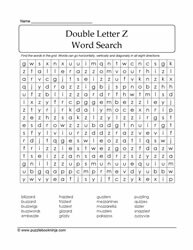 Double Letter E Words | Double Letter O Words | Figures of Speech | Commonly Confused A Words.